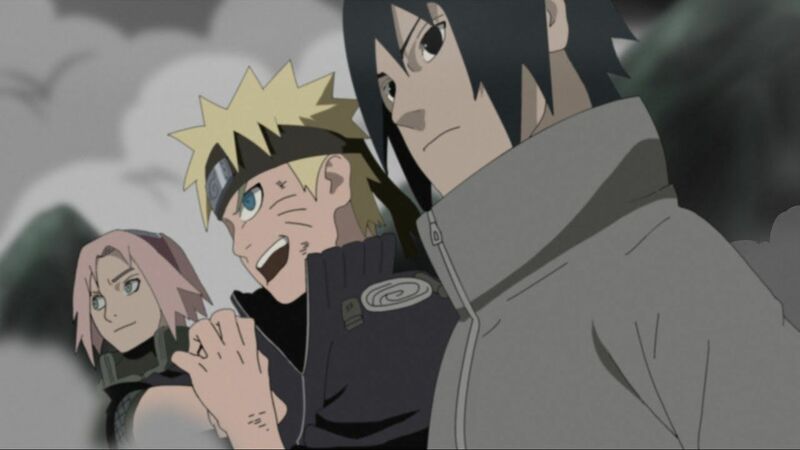 You are going to Watch Naruto Shippuden Episode 375 English subbed online free episodes with HQ / high quality. Stream Anime Naruto Shippuden Episode 375 Online English sub Kakashi vs. Obito. As Allied Shinobi Forces watch the Ten-Tails burn, Naruto wanting to extract the Tailed Beasts from it, Sasuke reveals his intention to completely destroy the Ten Tails. But the monster severs the burning part of its body to escape death. Back in the other dimension, after his battle with Kakashi ends with them impaling each other with their attacks, Obito warps back to the battlefield. Seeing Obito return to their reality, lamenting not fighting Hashirama prior and that his apprentice outlived his purpose, Madara forces Obito to use the Samsara of Heavenly Life so he can be resurrected and become the Ten Tails Jinchuriki. Producing a Shadow Clone to help Naruto and Sasuke stop Obito while Hashirama and Tobirama deal with Madara, Minato learns his former apprentice was the masked ninja from the night of his death. But matters worsen when Obito reveals he retained control of himself as he frees the Ten Tails before absorbing it to become a Jinchuriki.